My dad wanted to fight, but missed the war. "But for him, I wouldn't be here." That's what producer and writer Tonya Lewis-Lee said after learning about one of her ancestors on PBS's "Finding Your Roots". It's a heavy concept. Think about all the direct-line ancestors you've added to your family tree. If you've traced your family back several generations, you should have the names of lots of individual people who led directly to you. Have you ever thought about the many ways things might have gone differently? And how many of your ancestors could easily have taken a slightly different path? It's like the "butterfly effect"—the idea that some small change in the past could cause a big change in today's world. If just one pair of your direct-line ancestors hadn't had children, you would not exist! My mother's brother Johnny died in an airplane crash in World War II. His tragic death left no one to carry on the family name of Leone. If Johnny had come home from the war, he probably would have had a wife and children—children who would be my first cousins. 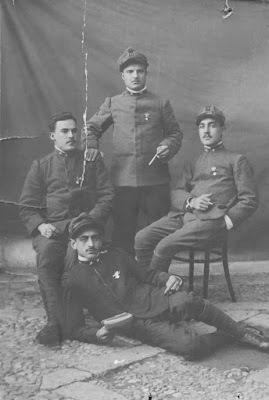 His father, my grandfather Adamo, was an Italian prisoner of war in World War I. He faced brutal conditions in captivity. Many men imprisoned with him died of starvation and disease. He sometimes ate rats to stay alive. If he had died, I wouldn't be here. My great grandparents, Giovanni and Maria Rosa, stayed in Italy when the rest of Maria Rosa's family came to settle in America. Fifteen months later, after the death of their first-born child, my great grandparents followed the family to America. What if their son hadn't died? Would they have stayed in Italy? If they had stayed, their daughter Mary would never have married my grandfather Adamo. My mother wouldn't be here. I wouldn't be here. This Veterans Day, I encourage you to think of your ancestors who served their country in the military. You should be proud and thankful for their service, of course. But you should also be very grateful that they lived to carry on the line that led to you. In a college film class years ago I saw the 1974 Vietnam War documentary, "Heart and Minds". The film brought me to tears when I realized my father, a United States Air Force jet pilot, could have been dropping napalm on villages if he'd been in that war. 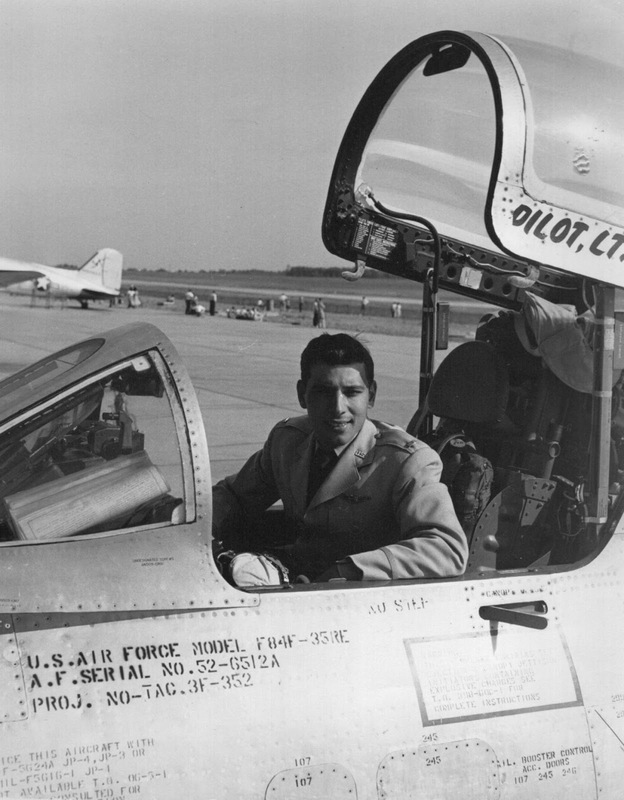 He wasn't in that war, and the Korean War ended immediately after he graduated flight school. But maybe, in that moment, I saw how fragile our lives are. If my dad had gone to war, he could have died. And I wouldn't be here to trace his ancestors back to the late 1600s. "But for him, I wouldn't be here." Here are some FamilySearch.org links that may help you find out more about your military ancestors. Civil War records, but not only the American Civil War!